All "jokes" aside. This ball is a beast. I have a stacked pin up layout. While it goes long with this layout it certainly doesn't lose energy through the final transition to the pocket. Medium or heavy oil this ball is a definite for leagues and tournaments. Strong cover stock and this ball has an unbelievable motion down lane off the spot for a symmetrical core. Drilled this ball at 60x4x32 and had to change the surface to 3000 with polish in order to get the ball down-lane on some of the local THS conditions. Check out the hitting power of this ball. This will definitely will be one of my favorites. This SWAG line is for REAL!. Strong cover. I polished mine. The ball still makes the turn very predictable but hard at the break point. Great ball for speed dominant players with the box finish or you can polish it like i did to get more length and love it no matter what type of bowler you are. Kept the original finish. CG is kicked out slightly and the pin is positioned just above the fingers. The ball needs oil and will compliment your arsenal & drives hard through the pocket. This ball is a beast!! If you don’t have one in your arsenal, ORDER IT NOW!!! It smashes the pocket like a Gallagher smashing watermelons. Shot 299 with it last week, had it drilled with a stacked layout. This ball instantly became my favorite for medium heavy to heavy oil. Fresh oil has no chance with this beast! It compliments the Athena very well. This ball looks as good as it performs, I highly recommend it! This ball eats through oil without an issue. I drilled mine pin down to help open up my angle on house shots and it has done just that. I was looking for a strong solid to help me play around the bowlers in the track and this ball fits the bill. It does not overreact when it hits the dry on the outside and gives me plenty of area. This is my first ball from the Swag line, but it will not be my last! After having a few weeks of using this ball, I decided to take it to a 4000 sanded finish. This was the trick for me at my house that has a medium to heavy volume. I had the ball drilled with a stacked layout. The ball reads the mids super clean and has great continuation through the pins! First time throwing the ball at 4000 sanded I shot a 296 game with a 799 series! I was able to use the ball even when the lanes broke down. By far my favorite ball in my bag. I would highly recommend getting one before they're gone ! I finally found a ball that is similar to the Terminator Armageddon. The Joker is a bit stronger but with the layout I have with it. It makes it a really Smooth to the pocket and now I have something that I can use to ball down from the Blizzard Shock then if the Joker is bit strong still I can always ball down again to the Terminator Armageddon. Just to add the Joker was my first Swag ball and it was a awesome choice I have to thank Brian Roberts and Doug Humphreys for the recommendations I was not lead astray . This ball has already replaced my 1st ball out of the bag. Quite possibly the strongest ball I've ever owned. Pin up, had to polish to control this animal. Hits HARD! May get another one and leave rough for tourneys. Not very often I come across a ball that instantly becomes my go to ball at multiple houses, this ball easily falls into that category. 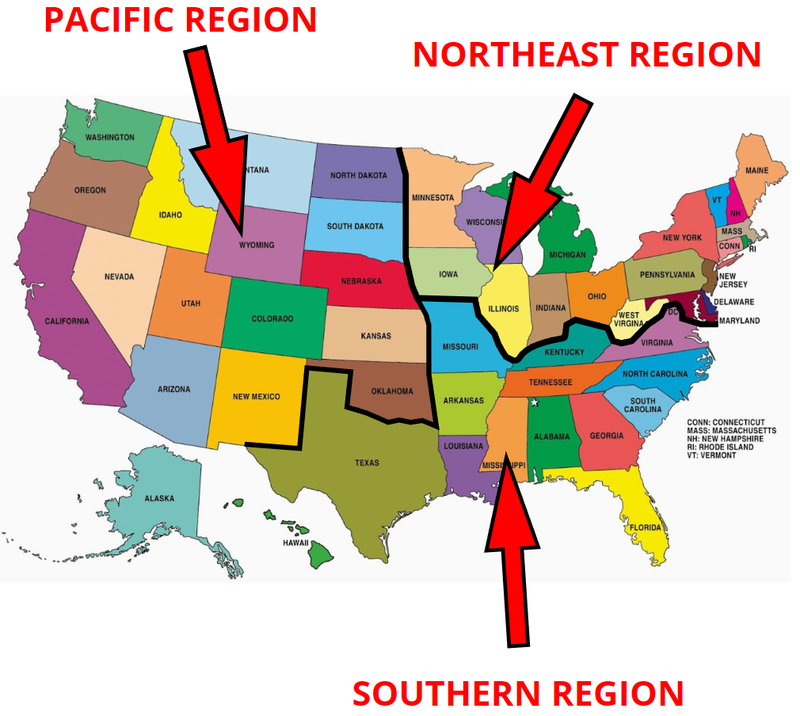 I'm a low rev stroker who usually plays straight up the 7 or 8, around 15mph . Drilled on up stacked and on a heavy oil 41 foot shoot the ball instantly found the pocket with a very strong, yet predictable reaction in the out of box condition. At a different center, 42 foot medium condition, moved inside a little due to less oil, the ball just struck over and over, when I missed and pushed it right 3-4 boards, it found its way back. On the 37 foot Broadway pattern, was able to play straight up 5 and had a money shot when everyone else was struggling to find the pocket. I already have a 2nd drilled up for more length, and really couldn't be happier. Don't think this ball is not strong just because its symmetric. The cover on this ball grips the lane with authority. Mine is drilled 70 x 3 3/8 x 20. With this layout, I can bring the surface up and move left - or I can rough the surface and move right. It has excellent continuation through the pins with excellent front and midlane read. 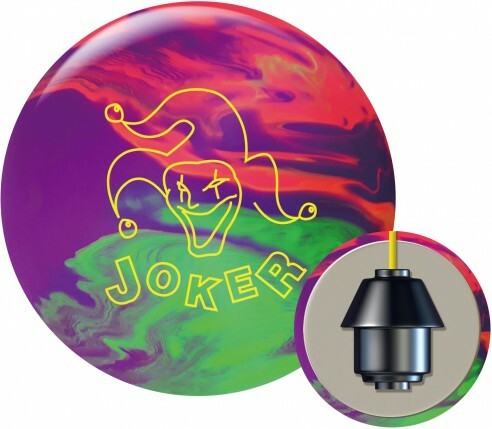 The Joker is a ball that I am really excited about. This is a strong rolling hard hitting ball that keeps the pins mixed up and low to the pin deck. This type of reaction equals more strikes. Even though it does not hook gutter to gutter it is very easy to manipulate the break point which allows the bowler to control the entry angle. This ball is so easy to read off the hand and on the lanes which allows you to easily stay ahead of the moves. The consistency and performance you get from this ball makes it one of the best in the game. I've used mine 5 weeks in league so far and my 15 game average with the Joker is 247.9. Why not see what the Joker can do for your game! I have this drilled pin up. It has been my go to ball since I got it drilled. It is a great ball for both sport patterns and house shots. Most predictable ball I have. It destroys pins. I also like the color pattern on this ball. Makes it very easy to see how ball is rolling. I have used it on a lot of sport patterns since I got it. Love this ball on all patterns. Just got this ball punched up today and I absolutely love it! Hits very hard and carries very well. Can't wait to start using this on the tournament scene! I like this ball. It was drilled pin up with cg out to get an earlier roll and arc. The more arc in my shot with this ball the better chance of smashing. I will say that when I play the shot tighter its good chance I will leave an pin from the back or 10 pin. The Joker is no joke. This ball did it all in the oil from a 13-7 swing to swing it across 30 boards on the 39' USBC White #3 pattern. The joker carried from spots on the lane where other balls would be a guaranteed corner pin, especially deep inside. In my bag the Joker is going to be my "A" ball for long, high volume patterns. This is the most aggressive ball currently in my bag. I used to have an issue with corner pins because my old equipment just wouldn’t face up and finish properly. I bring this ball out, and it absolutely destroys the rack. Very versatile and smooth, and a must-have in your bag! This ball is everything the hype said it would be, and more. I have mine drilled, pin through the ruing finger, for a great combination of length and continuous motion. 35 games in with this ball, between league and tournaments, and am averaging 233+ with this ball. Like American Express, I never leave home without it. This balls cover is amazingly strong and starts to hook as soon as it touches the lane, do not let the symmetrical core fool you because this ball is very strong off the spot. Honestly this ball is best used in heavy oil environments with its out of box surface finish. If you smooth the surface a bit however, you can definitely use it on dryer lane conditions. This ball is great on heavy oil. Strong cover. It stores its energy thru the head and mid land and unleashes it when it hits the pins. This ball is must in your tournament bag. I drilled mine pin under ring finger and I actually used 4000 abralon on it right out of the box. The ball is so consistent and hits like a truck! It has quickly became my bench mark ball. Swing it or play it up the boards either way! Play your cards right and get the joker!